1300 W Long life motor lasts up to 1000 hrs. 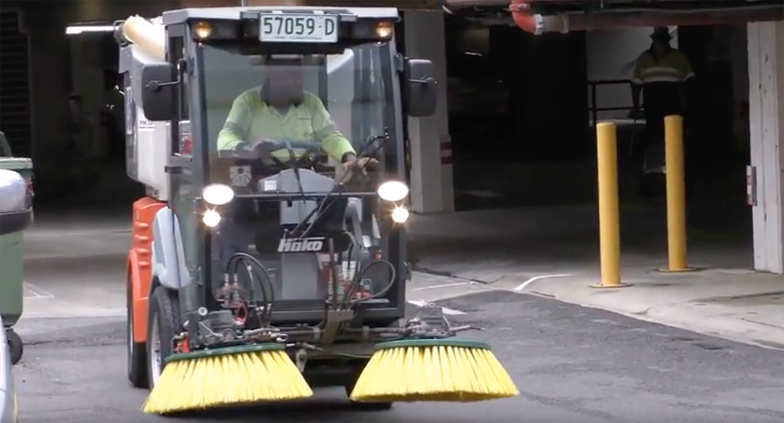 Dramatically reduced need for servicing and parts placement = reduction in carbon footprint from reduced transport to and from service technician; and fewer replacement parts = reduced landfill. 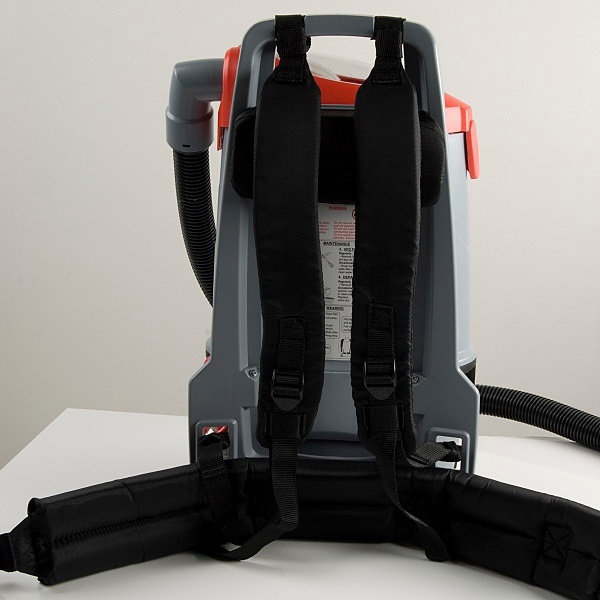 Unit is 40% more powerful and 62% more efficient than most other back pack vacuum cleaners in the market. 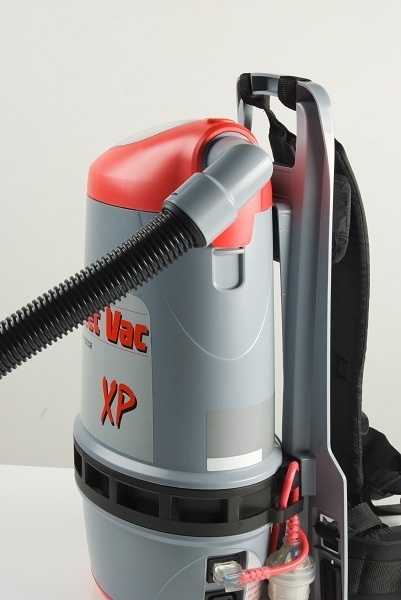 Using state of the art materials and manufacturing techniques Rocket Vac XP weighs only 4.2kg making it the lightest 5L backpack in the market. 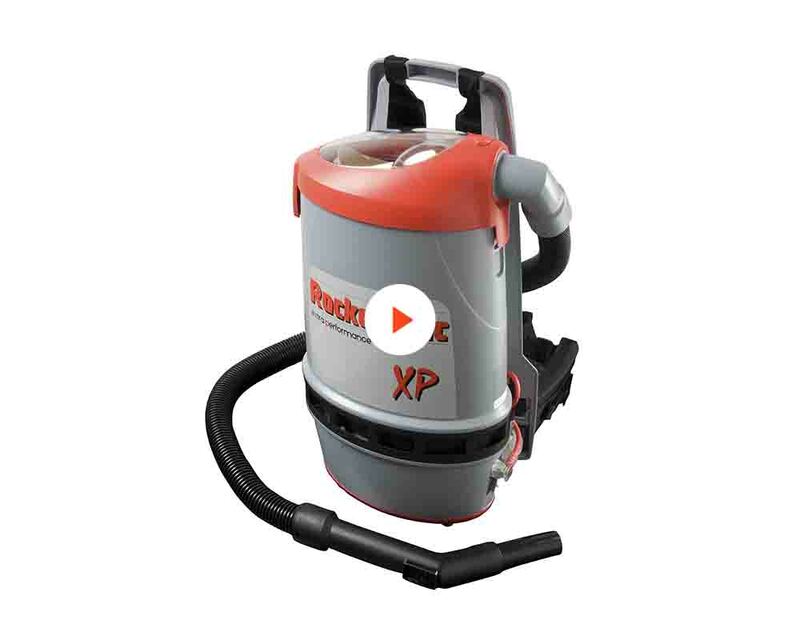 Use of virgin materials means Rocket Vac XP is a recyclable unit – further reducing land fill and carbon footprint. Smarter harness assemblies all replaceable without use of tools (simply thread through). Piggy Tail cord assembly means cord replacement handled by operator on site. No thermal overloading = reduced downtime. Filters washable = less replacement = no service technician. 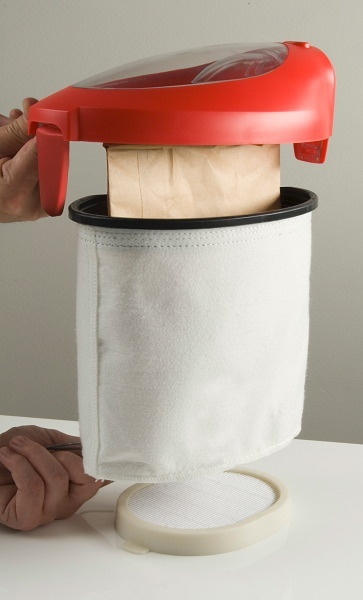 Filter bag treated with release agents to reduce adhesion of dust = easy empty. 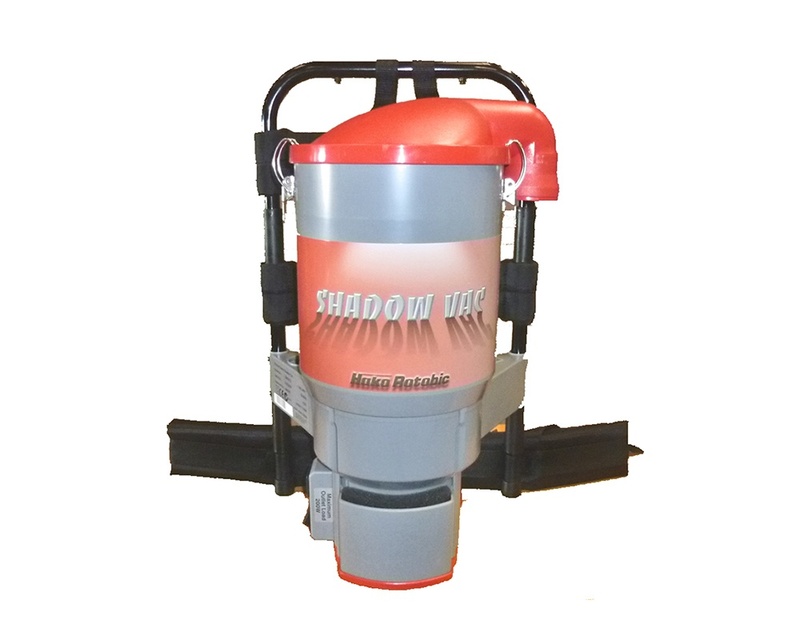 Brings machine closer to the users body and reduces opportunity of knocks and scrapes to walls and furniture. Closer to body means machine feels even lighter on user. Design of upper canister enhances airflow through filter bag. No external filter = maintenance eliminated = reduced R&M costs. 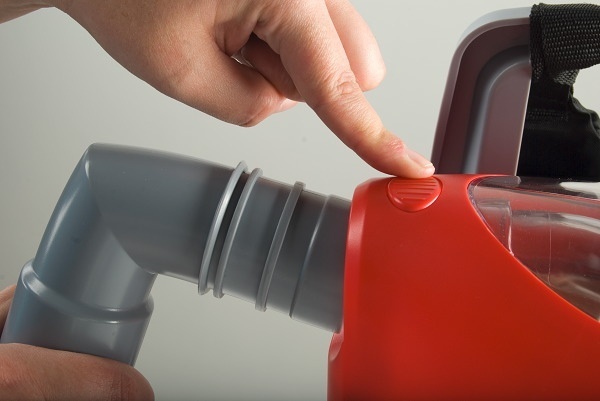 Suction hose swivels 360o at lid reducing operator fatigue and making cleaning of air-conditioning vents, ceiling fans, etc so much easier. Swivel reduces wear and tear of hose connection. 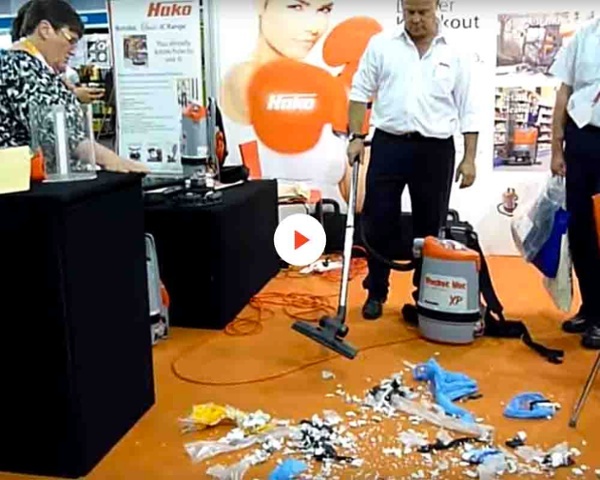 Choosing the right back pack vacuum is like choosing the right outfit, it has to be right for you. Not all back packs suit the individuals that use them. 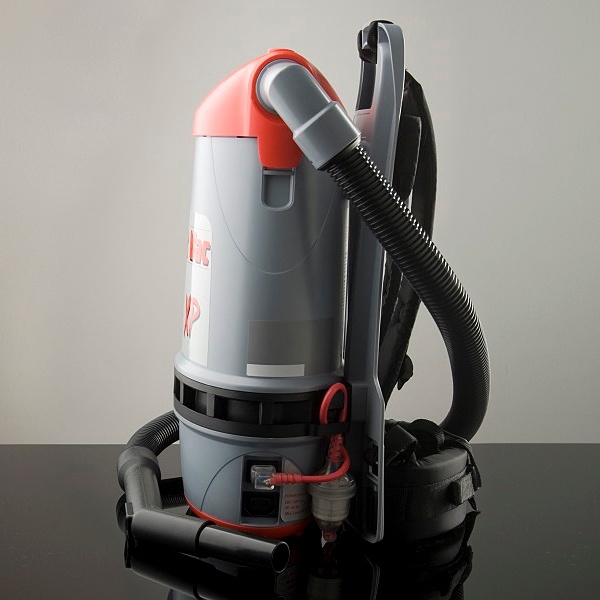 The Rocket Vac XP does its best to accommodate most users. 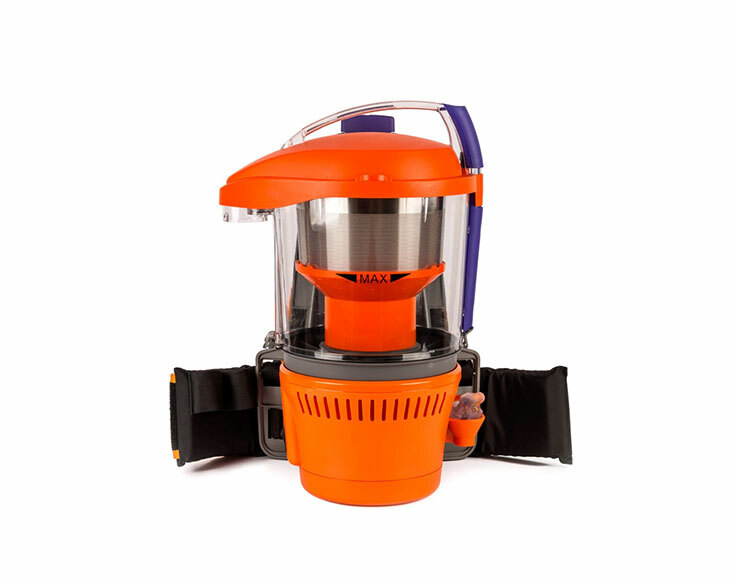 It is super light at 4.2kg on a 5L capacity unit, is slimline on the back so you barely feel it sitting on your body and it really does a great job of vacuuming. Importantly it has incredible standard filtration that is matched to its airfllow. 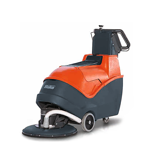 It allows it to maintain great performance for longer periods when it counts most...while cleaning on the job. If you want to learn more, have a quick look at the video below or scroll down for more information.